A landmark for the timber remains of the Star of Greece and early village's jetty with a stunning beach setting. The beauty and wonder of historical town of Goolwa is sensational. Explore its heritage, beaches and enjoy the wonderful Murray River. Find the perfect place for you at Fleurieu Peninsula. 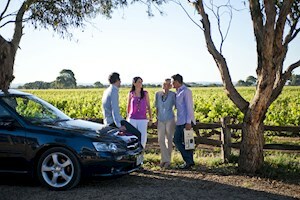 Here you can find information to help you plan your visit to the Fleurieu Peninsula. From getting here and suggesting things to do, where to stay, town information and maps. You can pick up a copy of the Fleurieu Peninsula Visitor Guide at any accredited visitor information centre in South Australia. 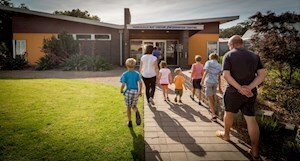 Fleurieu Peninsula has a fantastic network of Visitor Information Centres to help you plan your holiday, or stop in for more information when you are here. Access by road is less than 30 minutes from the southern metro areas of Adelaide and includes the Southern Expressway, via McLaren Vale – the Gateway to the Fleurieu, and the South Eastern Freeway via Echunga to Meadows or via Mt Barker to Strathalbyn. Access is made easy by following the Fleurieu Way. It gets you quickly to the major coastal towns that serve as bases for further exploration. There are no shortages of beautiful accommodation and amazing experiences across the Fleurieu Peninsula.